Brett is Founder and CEO of American Financial Network Advisory Services, LLC, known widely as AFN. The company offers financial solutions to individual and corporate clients across North America, and specializes in financial planning, wealth and risk management, and the structuring of business entities for smooth and efficient operation from inception to dissolution. AFN works collaboratively with a range of respected legal, taxation, and banking professionals in the AFN Financial Solutions Alliance. 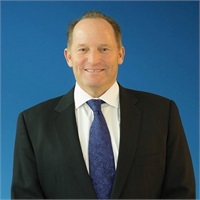 Brett has been in the financial services industry for three decades, and is an active philanthropist, with a special interest in the physical, emotional, and financial health of families and children. Martin is currently the Managing Director at AFN. 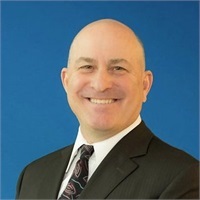 He has over twenty-four years of experience within the financial services industry, serving in a variety of capacities including numerous leadership roles. Most recently, he was a Market Administrative Manager with Merrill Lynch in Westlake Village, California. Prior to that, he was a Branch Operating Manager with Banc of America Investments, an Investment Center Manager with TD Ameritrade, and Senior Financial Advisor with Fidelity Investments. He is originally from Cincinnati, Ohio and holds a Bachelors degree in Finance from Xavier University. Martin currently resides in Encino with his wife and son. He is also a Flight Instructor and can be found most weekends flying over the skies of Los Angeles. Steven is the Chief Compliance Officer (CCO) and client services manager at AFN. He makes sure that our clients feel like they are seen and heard, in an effort to meet or exceed their expectations. 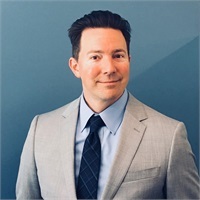 He joined the company in late 2017, after working as an Assistant Specialist for Pershing and then as Chief Compliance Officer and Client Relationship Consultant at Penniall &Associates. His MBA is from Pepperdine University after attaining an undergraduate degree in Sociology from Tulane University. Steve holds three securities registrations, and a real estate license.